Been browsing here for a couple of weeks and learned so much, so I thought I would join and get more involved. I have a freshwater 10g that I established over two years ago. Not stocked much now, just a few tiger barbs and a pleco (sm), and a plant or two. I am really getting into saltwater, though, and just started a 55g Hex last week. 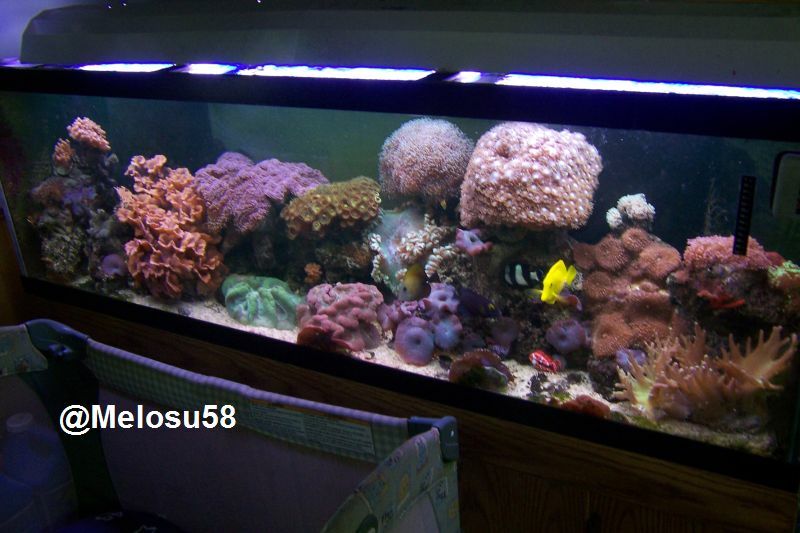 Right now I have a little live sand (Caribsea) and an Aquaclear 70 running. My dad is in Fort Myers, FL and he is bringing back five gallons of wet sand, a gallon or two seawater and base rock he is collecting for me. When that gets in, it will really get started. Anyway, just saying hi and happy to be here.